Design your own wedding bouquet. If you are trying to save money or simply want a more hands-on approach to your wedding, you can make your own bouquet of flowers, as well as the bouquets of your bridesmaids and any other guests of honor. These bouquets can be put together hours before the wedding to free the bride to prepare her hair and make-up and put on her dress. Practice in advance, with extra flowers, to become familiar with the flowers and the process. Pick your flowers from the place they are growing or pick them up from the local florist, the morning of the wedding. Place the flowers in a vase with water and put the vase in a cool location, out of the sun until you are ready to prepare the bouquets, at least a few hours before the wedding. Pull the flowers from the vase and blot them dry with a towel. Strip the flowers of any excess foliage, thorns or other roughage. If you want greenery in your bouquet, leave a few leaves on the top, near the blooms. Use the scissors to clip off any excess greenery, instead of pulling on the stems and potentially breaking them. Pull together the flowers stems together, bunching them together into a cylinder shape in your hand. 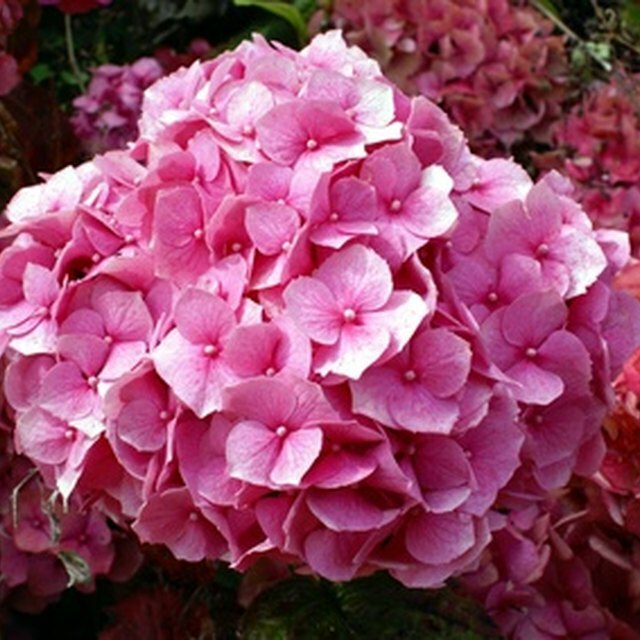 This should create a round, half-spherical shape of the blooms. Pull the middle blooms higher and the side blooms lower, to create the rounded shape in the blooms. Add any additional greenery by setting leaves' stems or other accessories against the side of the stem cylinder, pushing the leaves up under the half-sphere of the blooms. Tie together the bouquet with a rubber band or a piece of floral tape, near the base of the blooms and the top of the stems. Cut the bottom of the stems so they are uniform and even. Place the end of the ribbon over the top of the rubber band or tape, covering it. Secure it with a pin. Wrap the ribbon around the stems, tightly, moving down the stem and covering all the tape. Fold the ribbon over the bottom or just continue wrapping, moving back up the stems, once you reach the bottom. Cut the end of the ribbon and secure it with a pin, at the top of the stems. Leave the bouquet in a cool place, in the vase until the wedding. If the bottom of the stems are exposed, you can place a wet towel at the bottom of the vase to keep the stems moist. Be careful to wet only the exposed stems, not the ribbon. 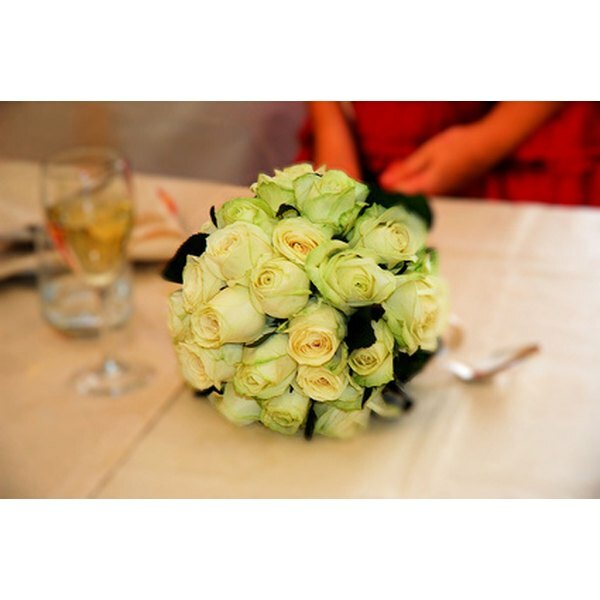 Dry the stems of any water or moisture before handing to the bride or other wedding party members. Make a larger bouquet for the bride and smaller versions for bridesmaids, flower girls and other guests.